Affiliations - VIP Realty Group Inc. 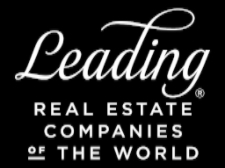 Leading Real Estate Companies of the World® (LeadingRE) is the home of the world's market-leading independent residential brokerages in over 55 countries, with over 550 firms and 128,000 associates producing over one million transactions valued at $351 billion in annual home sales. LeadingRE affiliates produced over one million transactions valued at over $351 billion in home sales in 2015, $86 billion - or 33% - ahead of its closest competitor in sales volume. The LeadingRE network also led all national brands in total units sold, with 1.1 million sales units. As an affiliate of LeadingRE, VIP Realty Group, Inc. is a global - not just local real estate company. We can assist you anywhere in the world. We have access to the highest caliber of real estate professionals in over 55 countries and across six continents. When buying or selling property outside of our local market, our world-class connections can help with real estate needs throughout our continent and to points around the globe. Let us introduce you to a carefully selected sales associate that will provide you with extraordinary service — anywhere your real estate needs take you. Luxury Portfolio International® is a unified collection of the world’s most experienced, visible and highly-regarded experts in luxury real estate. 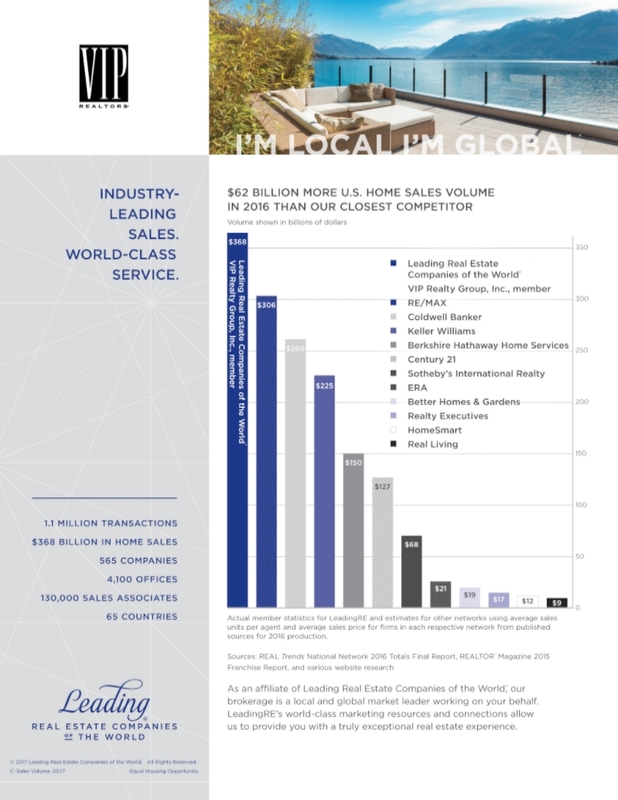 Founded in 2005 as the premium division of Leading Real Estate Companies of the World®, Luxury Portfolio exclusively markets a selection of the network’s extraordinary homes, utilizing a sophisticated mix of online and offline media to position properties for maximum exposure in an elite market. The program markets over 50,000 properties annually on the award-winning LuxuryPortfolio.com and in prestigious publications circulated around the globe. Encompassing more market-leading independent real estate brands than any network, members are recognized for their agility, expertise and superior competence in both local and global markets. Mayfair International Realty is a carefully selected group of the most experienced and professional real estate experts from across the globe. Founded in 1995, the Mayfair Office has grown to become one of the foremost groups of luxury real estate agents in England, Scotland, Wales and Ireland. In 2005 this group was expanded to North America. Today Mayfair International Realty members can be found across the globe, bringing sophisticated international real estate marketing to a worldwide community of buyers and investors. With over 300 offices across the UK, and more than 180 offices overseas, all headquartered in a busy central London office, Mayfair International Realty offers its members and their clients exclusive access to excellent media and internet coverage as well as the opportunity for buyers and sellers alike to connect with the very best real estate companies across the globe – exclusively. ERC® is the workforce mobility association for professionals who oversee, manage, or support U.S. domestic and international employee transfers. Worldwide ERC® members come from many professions -- HR; recruiting, government; military; real estate; financial services; moving; counseling; consulting; and more. Worldwide ERC® provides a wealth of products and services that contribute to the success of its members. Membership has grown to nearly 1,600 corporations and 10,000 service industry members around the world. Worldwide ERC® is widely recognized as the authority on global workforce mobility, and continues to build on its network of professionals, partners and stakeholders, on its print and electronic programs and services, its research capabilities, technology tools that create e-solutions for its constituencies, and its public policy work to ensure best practices and standardization in the industry.